← 625 "Singin' in the Lane"
The family arrives on the couch, then the scene transforms into a Lincoln Memorial statue, with "In couch gags we trust" written above it, which in turn turns into a bronze coin with "Vescere Bracis Meis" ("Eat my shorts" in latin) written under it. 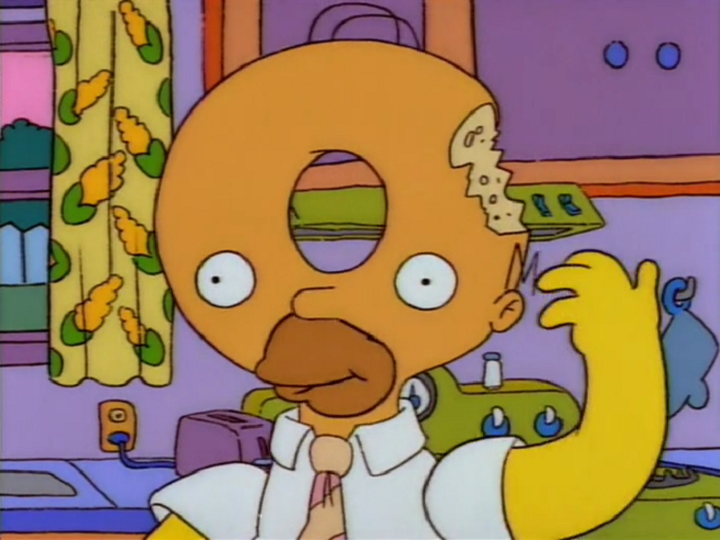 The coin is then shown given by Mr. Burns in his office to Homer as a raise, to which Homer shouts "D'oh". A Christmas version of The Ned-liest Catch's. Princess Penelope, dressed in a Christmas outfit, flies by on a unicorn and throws gifts down the clouds. 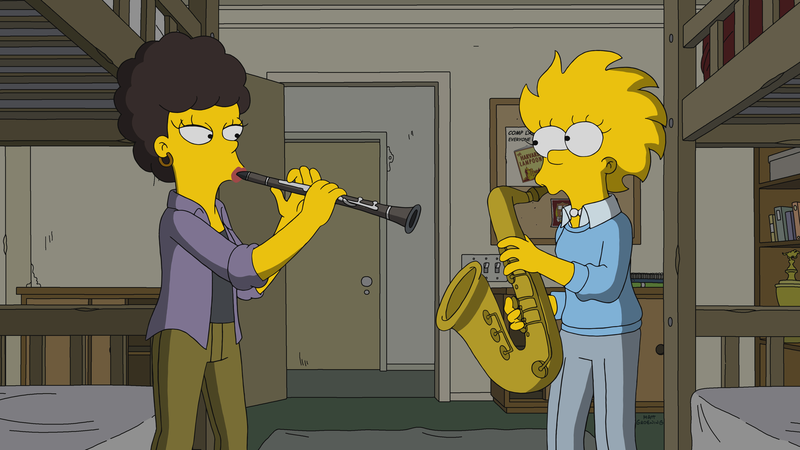 "Mr. Lisa's Opus" is the 8th episode of season 29. The episode aired on December 3, 2017. "Lisa's version of Barthood. Homer discovers how smart she is, she'll go to college, and being scared out of Springfield. 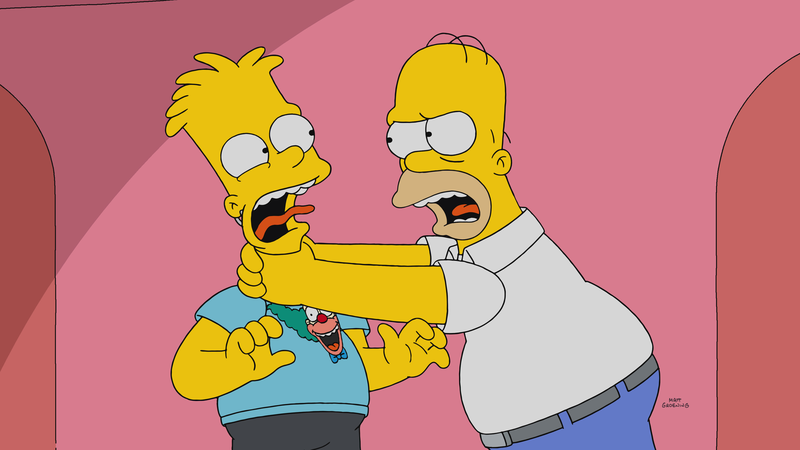 Ned will try to cure Homer of his alcohol problem. As future Lisa writes her college application essay for Harvard, she recalls past disappointing birthdays that helped shape her." Seven even years ago, Lisa wakes up Marge and Homer, who admires how awesome she is, offending Bart, who stabs him in the leg with a pencil. 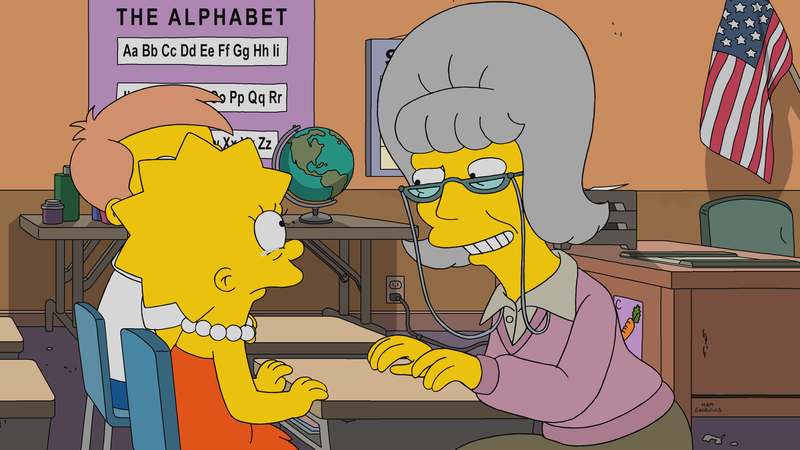 In the present, Lisa is writing an Harvard College admission essay and she starts writing her past. 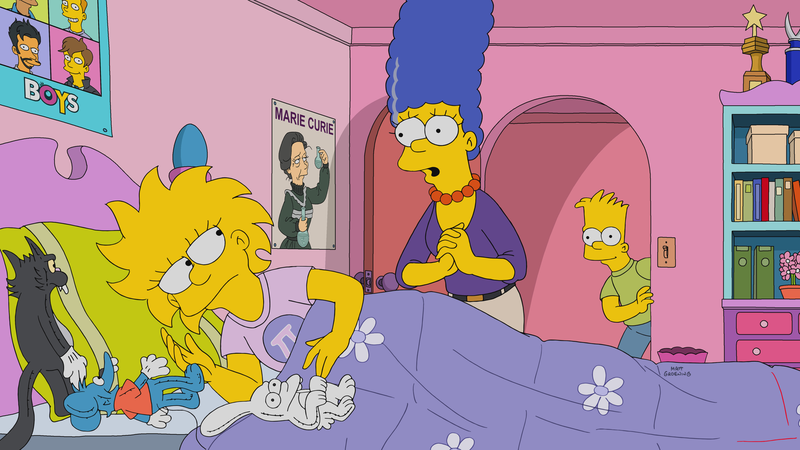 She begins with her 7th birthday, showing how Marge gets Maggie addicted to pacifiers. The family and Ms. Myles, her teacher, forget her birthday, with Ms. Myles sending her to the Principal too, after she gets sad on them celebrating Hubert Wong's birthday. Homer comes to get her and finally remembers it's her birthday, and coming home they find out Ned didn't forget and gifts her a tricicle. The family celebrates her birthday with a cake made of a cup of milk and some candles on it. Next, Homer is working on a exercise bike and is having medical trouble, and Lisa shows how the marriage with Marge is troubled, that nearly fell apart when she turned 14. The family this time remembers, and brings Leon Kompowsky to sing new verses for Happy Birthday, Lisa, while Homer brings a cake with Happy twelfh twelvth 12th birday, upsetting her. 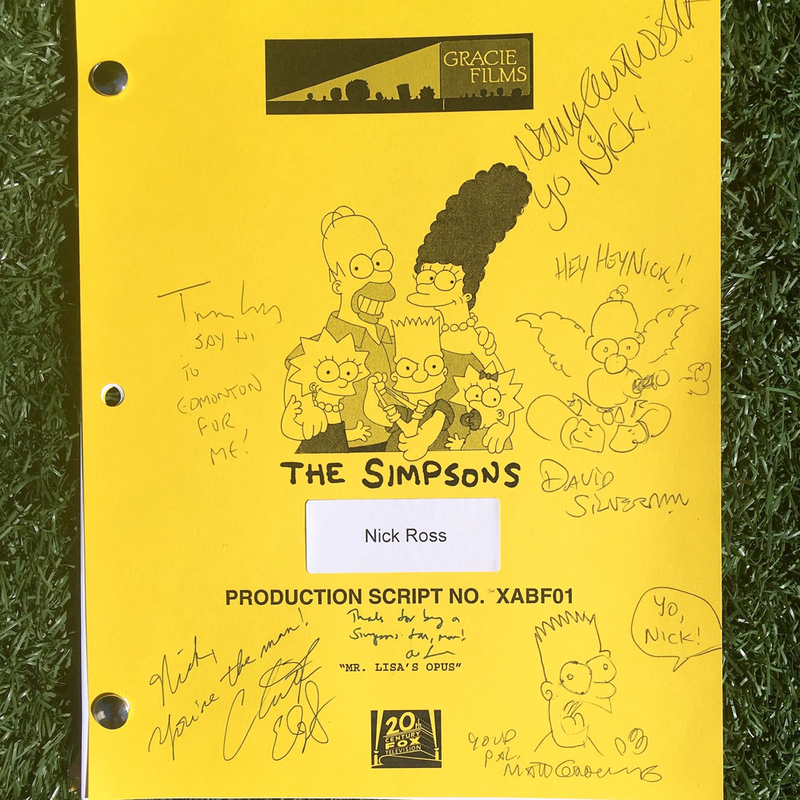 Lisa returns home from school in the bus, and discovers a letter in a suitcase, while placing some packs in Marge's closet, saying that she left him and opened a bed and breakfast with the other kids, and a tablet with Artie Ziff mocking him for it, however Marge hasn't left yet. At dinner, Marge gets angry at Homer for drinking in front of the kids, and tells him to go to Moe's Tavern to drink. Marge goes to the kitchen to cry and Lisa is ready to take action. At the tavern, Moe now has artificial spider-like legs, while Lisa enters to tell him that Marge is going to leave him and makes him promise that he'll stop drinking. He calls his sponsor to help him to stop, and it's Ned. He succedes and the marriage was saved. Harvard College sends in a drone to Lisa with her acceptance, and it destroys other similar drones from other colleges. She goes to college and sets up her room, but is not much happy in her first day. Bart cheers her up and then leave with the rest of the family, preparing for the new life, also meeting a new roommate that makes life in college better. We get to see a collage of scenes through her life, back to the first scene, then Homer, Lisa and Marge sing a new version of Those Were the Days, and Norman Lear enters the house, saying he'll see them in court. A final tour of Springfield is shown, with the Duff Blimp saying "Stay tuned for "Simpson and Son". 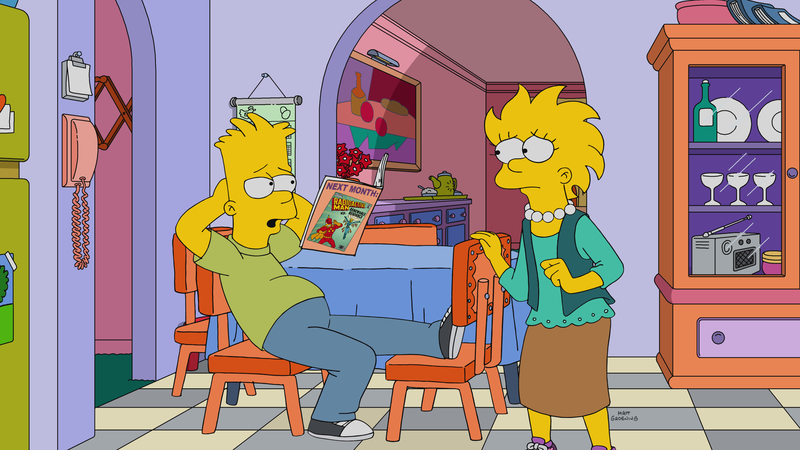 It was previously announced that the episode could have shown a timeline where Lisa is married to a woman, but was cancelled. Modified on May 28, 2018, at 14:43.